Not for the faint hearted. A fiery and fabulous grown up ketchup alternative. Not necessarily for your morning toast, although I do know someone's father will have nothing but this on his morning slice. Enjoy in a cream cheese filled baguette or with a baked Camembert. 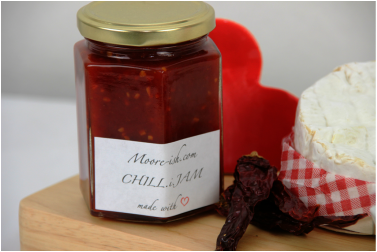 Delicious with grilled sausages and bacon - make it part of your Full Monty! !